Join us as we recognize and celebrate the next generation of innovators who push the envelope to tackle real world problems with revolutionary ideas. 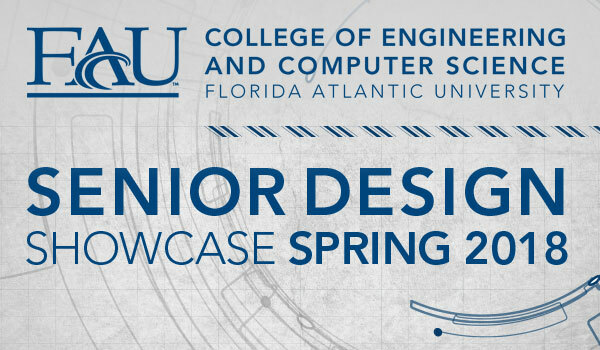 Student-produced projects from the College of Engineering and Computer Science will feature everything from robots to smart mobile device applications to new facility designs and more! 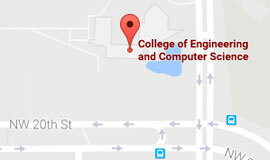 Engineering East is located on the northeast corner of the FAU Boca Raton campus off of 20th Street. Parking is available in Lot 2 to the west of the building. © 2018 Florida Atlantic University, College of Engineering and Computer Science. An Equal Opportunity/Equal Access Institution.